Once again, we start a day where hundreds (hundreds!) 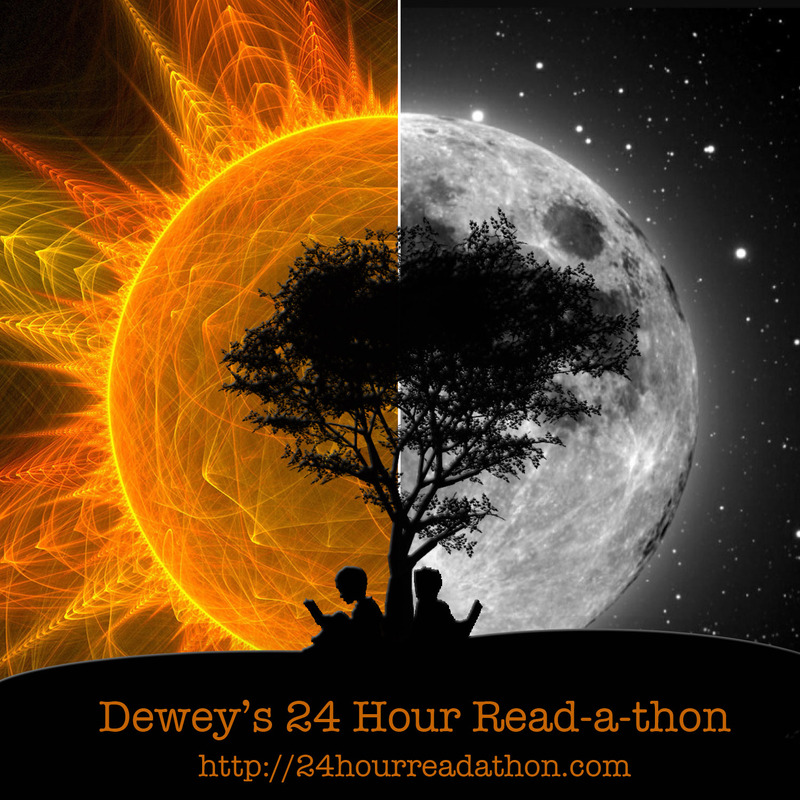 of readers across the world get together for 24 hours to celebrate reading and community. I love this day ... except for one thing ... the 5am west coast start time. So, as in past years, I will not actually be here for the first couple of hours (FYI for the awesome cheerleaders). I know, I'm such a slacker and I could try and get up but I'm a night person so I would be doing the day on like 4 hours of sleep and that's just not happy-making. Instead, I'll sleep in and then be one of the few to keep going into the wee hours of Sunday! Probably The Watcher in the Shadows -- I love to read a Carlos Ruiz Zafón novel right at the end of the read-a-thon. They're so spooky and have really compelling stories which makes it easier to keep going! This is what I've put aside as read-a-thon snacks. 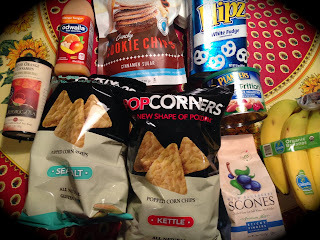 The scones are for breakfast and I'll hopefully stick mostly to the juice, tea, bananas and nuts during the day but, really, I'm looking forward to the cinnamon sugar Cookie Chips! I have always been a reader. I taught myself to read at the age of three when my brother was born and my mom was too busy to read to me as often as I wanted. I have participated a few times now and I think I'm going to try and participate in at least one of the mini-challenges this year. I usually just do my own thing during the day but the challenges always look fun and I'm tired of missing out! Well, that's a good start! As in past read-a-thons, I'll mostly be updating on Twitter and Instagram.